In winter, here in Kentucky, I need projects that will help me bring the outdoors inside. I found working on my aquariums, terrariums and wabi kusa have been a lot of fun and a great way to bring a little green inside. Just seeing these little habitats take off and grow helps prevent cabin fever. What is the difference between a terrarium, aquarium, paludarium, vivarium and wabi-kusa? The main difference is the amount of H2O in each habitat. Aquariums are full of water with a mixture of fish and or plants fully submerged under the surface. Different types of ecosystems can be displayed in aquariums from fresh water to salt water. The Aquariums can be set up for displaying multiple fish and spawning or to showcase one specimen. My personal preference is when an tank is set up to capture nature. 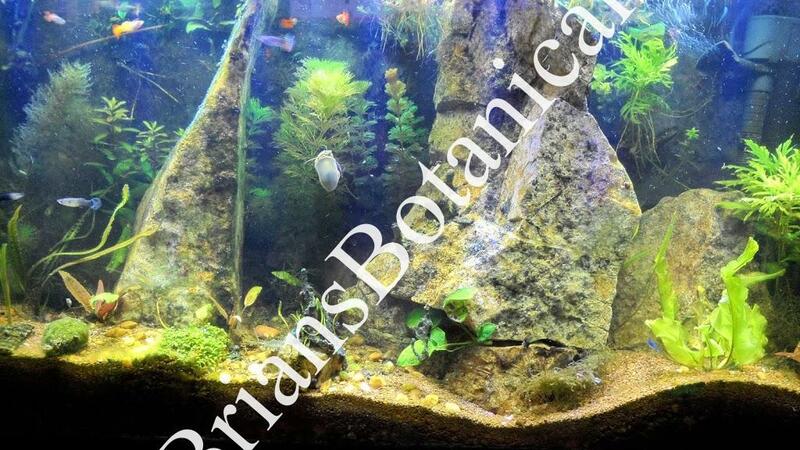 Many of these planted tanks are often refereed to as Aquascapes. Paludariums are a hybrid between an aquarium and terrarium, usually the tank is half full of water while the top section has room for plants and animals that live in the semi-amphibious habitat. The term vivarium usually refers to a habitat for an animal. These habitats are controlled environments with conditions such as fog, humidity, light, air flow and so forth being manipulated. 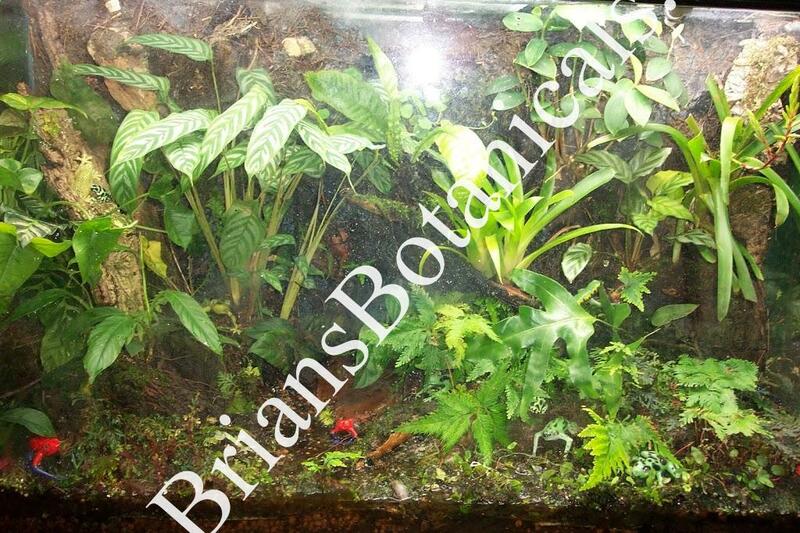 Vivariums are more advanced than terrariums but the term are used loosely between most hobbyist. Wabi-Kusa is fairly new term to a lot of people. It comes from a Japanese aquarium artist named Takashi Amano. He is well known in the aquarium world for revolutionizing the entire industry. His aquariums look like works of art. 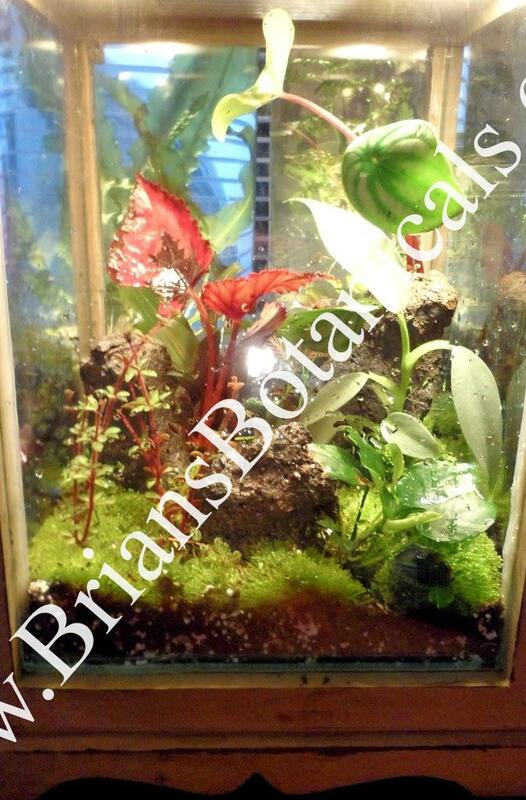 While developing his technique in aquarium-scapes he had plants pre-grown in moss balls to use in the aquarium construction. This was extremely smart since he was able to get well grown plants set up in the aquarium instantly after insulation. The moss ball technique was later used to develop a whole new low maintenance aquarium movement. 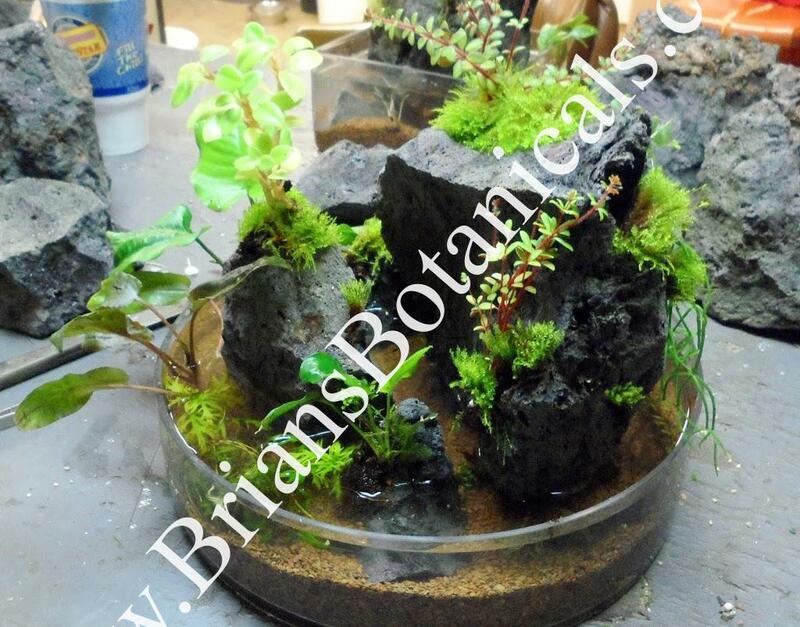 The idea was to set a moss ball with plants growing on it in a shallow tank or bowl of water and allow it to grow. The results can be very rewarding and it reminds me a lot of an aquatic version of bonsai. Much like bonsai the different variations of wabi-kusa have become only limited to what can be grown on a moss ball. A lot of factors can help decide what sort of habitat you want to make. You first need to ask yourself these basic questions. How much money do you want to invest into the project? How much time and maintenance do you want to invest? What environment do you want to duplicate? I will be discussing many of these types of indoor greenhouse projects in depth in upcoming blog posts.